Sheila J. Feay-Shaw, associate professor and chair of music education, joined the University of Wisconsin-Milwaukee faculty in 2008. 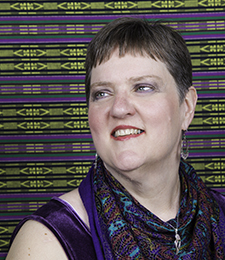 Dr. Feay-Shaw specializes in world music pedagogy in music education and has presented conference sessions for state, national and international conferences in Glasgow, Scotland; Edmonton, Alberta; Toronto, and Bergen, Norway. She authored a report for The National Association for Music Education entitled Cultural Consciousness in Secondary Music Education: Issues of Pedagogy and Philosophy which was used in consideration of the revisions to the National Standards in Music Education. She has served as the chair for WMEA's Research Group and NAfME's Social Sciences Special Research Group. She has authored two web-manuals for the Oxford University Press Global Music Series on Music of America and Music of Egypt. She has also published in the Bulletin for the Council of Research in Music Education, the Journal of Historical Research in Music Education and General Music Today. She is a specialist in elementary general music having taught in Milwaukee Public Schools for ten years as well as Seattle and Tukwila, WA for an additional 5 years.